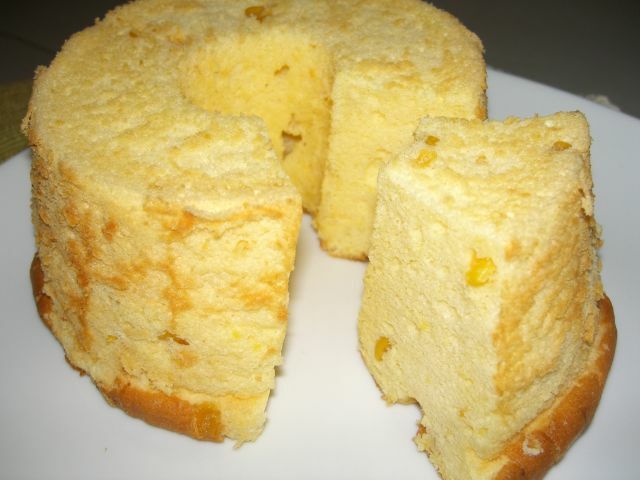 Instead of the usual Pandan Chiffon Cake, I experimented and came up with a new chiffon cake: Cream Corn Chiffon Cake. This cake is nutritiously packed with corns and is so light! Previously, when I made coffee chiffon cakes for my relatives and friends, the response was also tremendous! It suddenly dawned upon me on how, in most people's perception, cakes are suppose to be light, soft and moist. However, there are cakes that are heavy such as my ever famous Carrot Cake. Well, I guess it still takes time to educate people on how to appreciate the cross cultural differences in food or in this case, cakes. On Sunday, Philip (owner of RICE - Resources In Cuisine & Events) invited me to teach his students how to make buns at his place in Clementi. 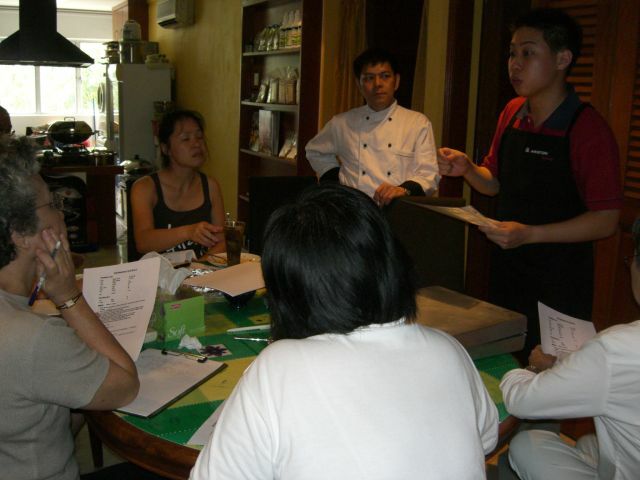 Philip specialises in Peranakan Cooking and organises culinary tours. 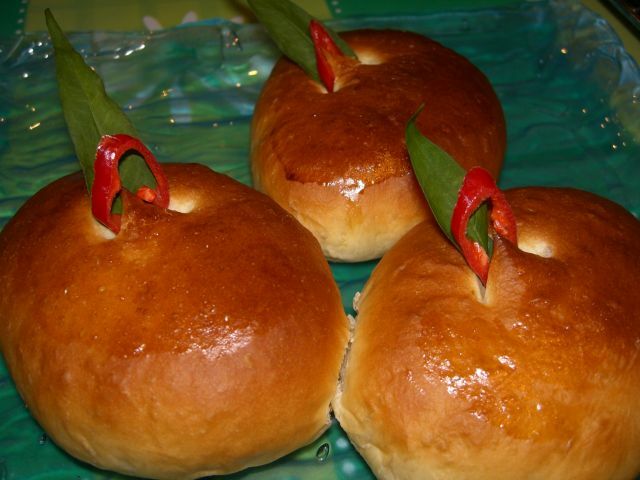 Over at his place, I taught his students how to make our soft asian buns with a twist. 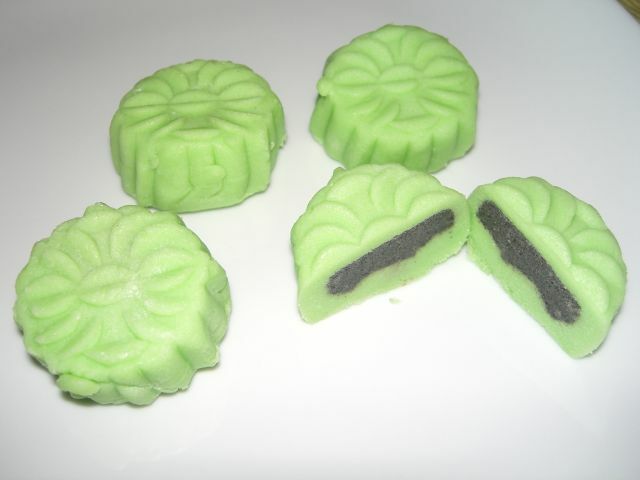 The filling was a truly Peranakan recipe. It consists of mainly minced meat with some onions and spices, cooked and cooled before being wrapped in the buns. This is what Philip calls the modified version of the Bun Susi (which incidentally, I found the recipe on the internet). 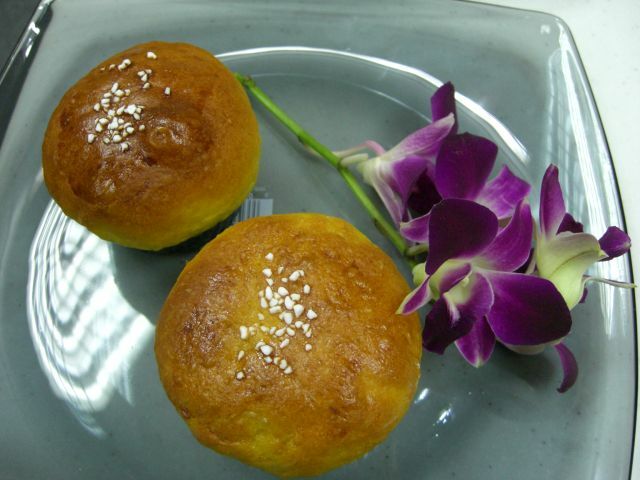 The original Bun Susi (according to Philip) is actually the minced meat filling wrapped in a shortcrust pastry. In addition, the minced meat filling is slightly sweet. To make the bun more interesting, I made a slit with a scissors, egg glaze and baked the buns. After which, I used the thai sweet basil leaf and a sliced chilli for a final touch. I have successfully formulated Isomalt Snowskin Mooncakes for Sam's Cakes & Bakes! I know that those who are in the industry reading this journal entry, may say that this is nothing new as Isomalt has already been used in countries such as Hong Kong to do their mooncakes. But like I have mentioned in my first journal entry, this bake journal is mainly used to depict my baking and culinary adventures! Most people will think so what if isomalt is used in mooncakes? Well, to find out more, you can visit the company's website: Palatinit. To sum up, when isomalt is 100% used in a product, it can be classified as a diabetic product. 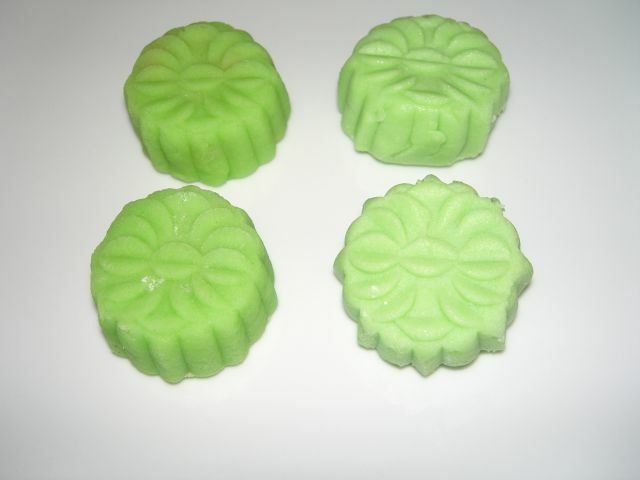 In addition, isomalt gives a lighter colour (Left: Normal Mooncakes using Icing Sugar, Right: Isomalt Mooncakes using Isomalt) and a fresher look of the end product. To make it even more interesting, the filling used in these isomalt mooncakes is black sesame paste (made using 100% isomalt). 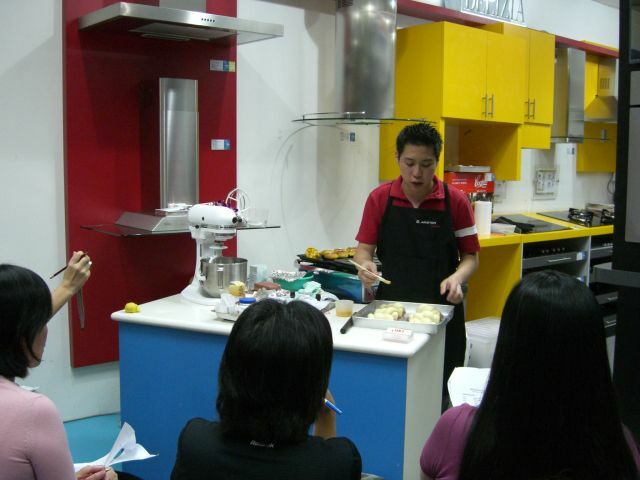 You will hear more about another isomalt product, XO Kaya by Fong Yit, when I do a demo at Mayer Causeway Point on Soya Kaya Buns (the Kaya, using the Isomalt XO Kaya by Fong Yit). Welcome to Sam's Bake Journal! This is another phase that Sam's Cakes & Bakes is undergoing. I have decided to incorporate a Journal to depict my baking and culinary adventures in my kitchen, school laboratory or anywhere that allows me to continue to pursue my passion in this area. Do feel free to drop me an email if you do have any burning questions with regards to food and I will try to post the reply as one of the journal entries so as to educate more people who shares the same interest and passion! To kick off with my first journal entry, I have decided to post the recipe that I taught at a recent Mayer Workshop. By the way, Mayer Marketting is the Singapore distributor for Ariston Ovens and KitchenAid Mixers. I must say that they are household brand names nowadays and are used extensively in most homes. 1. Mix all the ingredients together into a paste. 2. Freeze the paste for 30 mins. 3. Divide the paste into 50g portions and keep it back in the freezer till ready to use. 1. Place all the ingredients in a bowl, except Butter. 2. Knead till the side of the bowl is clean. 3. Add in Butter and knead till well developed. 4. Round the dough and rest for 30 minutes. 5. After resting, turn the dough bottom side up and punch down to flatten. 6. Divide the dough into 8 X 54 g pieces. 7. Roll the dough out and wrap around the Pumpkin Filling. 8. Place on a greased baking pan. 9. Proof the bread till double in bulk, approximately 30 to 45 minutes. 11. Brush the surface lightly with "Egg" Glaze. 12. Bake at 200C for 12 to 15 minutes until golden brown. 13. Brush with melted butter when baked to give a glossy finish.